Dried vine sections imported from Peru. Ayahuasca analogue. Probably the most important species is Virola theiodora, a slender tree 25-75 ft (7.5-23 m) in height, native to the forests of the western Amazon basin. The cylindrical trunk, 11/2 ft (46cm) in diameter, has a characteristic smooth bark which is brown mottled with gray patches. The leaves (with a tea-like fragrance when dried) are oblong or broadly ovate, 31/2-13 in. (9-33 cm) long, 11/2-41/2 in. (4-11 cm) wide. The male inflorescences are many-flowered, usually brown or gold-hairy, shorter than the leaves; the very small flowers, borne singly or in clusters of 2 to 10, are strongly pungent. The fruit is subglobose, 3/8-3/4 in. (1-2 cm) by 1/4-5/8 in. (1/2-11/2 cm); the seed is covered for half its length by a membranaceous, orange-red aril. Most, if not all, species of Virola have a copious red resin in the inner bark. 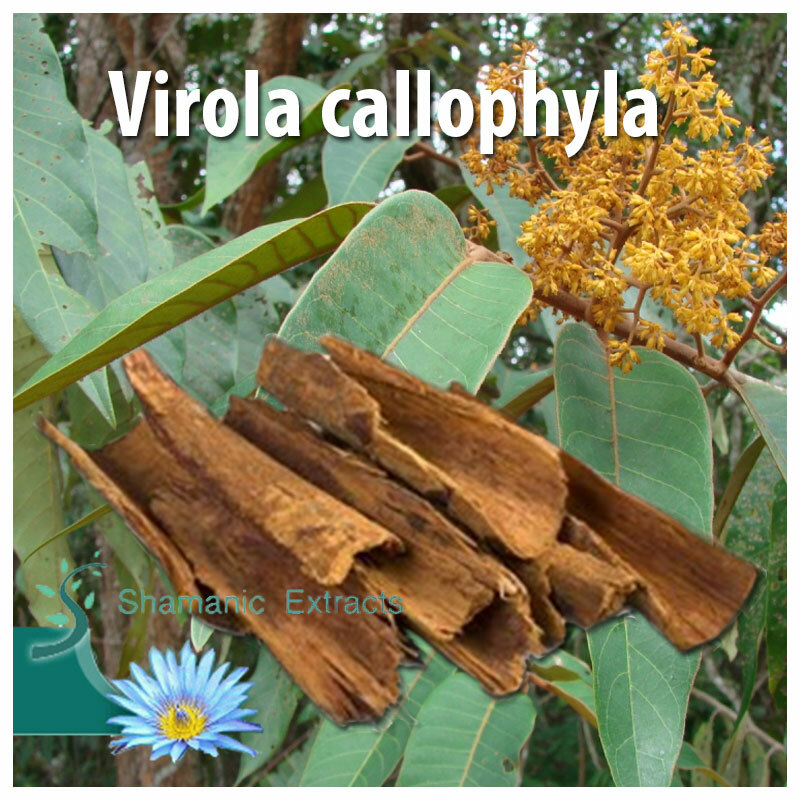 Share your experience about Virola callophyla with other customers. Submit your tips or thought on this product, be detailed and specific.